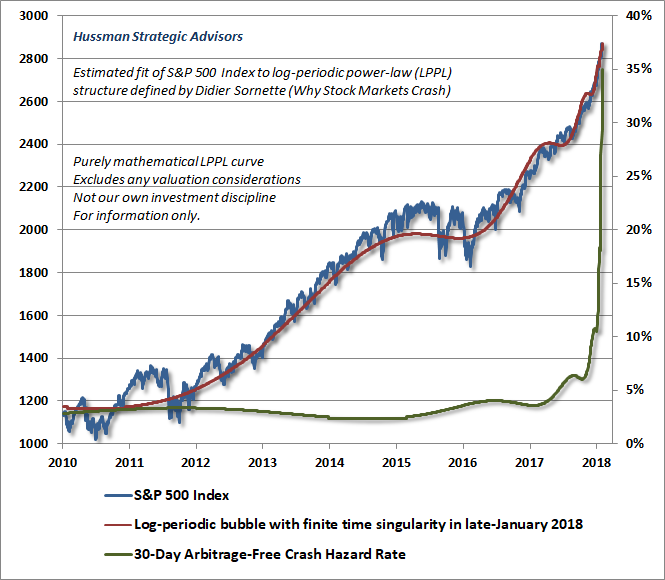 In an almost prophetic blog post from John Hussman last week, we are warned about the bubble waiting to collapse in the US equity market and the hard lesson investors are about to learn. 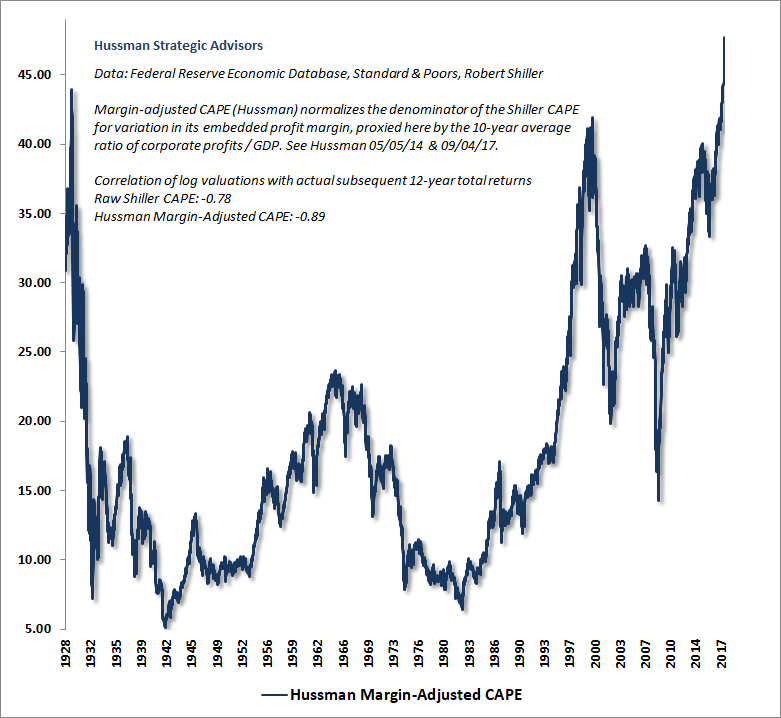 Drawing on both his own experience and the work of the much revered Didier Sornette, Hussman looks at the current state of the US equity market, where it sits in its cycle and how it compares to history. Of course, the lesson may have finally begun. On Monday February 5th the Dow Jones dropped over 1,000 points, the largest single day drop ever, on a points-basis. Meanwhile, also on the 5th, the S&P500 went negative for 2018 closing down more than 7 percent from a record set in January. Similar action was repeated on the 8th February, with many traders declaring they’d never seen anything like it. Gold performed well following the rout and we believe gold prices may rise further as the drama leads period of risk aversion and a new found appreciation by investors looking for gold’s hedging and safe haven attributes. 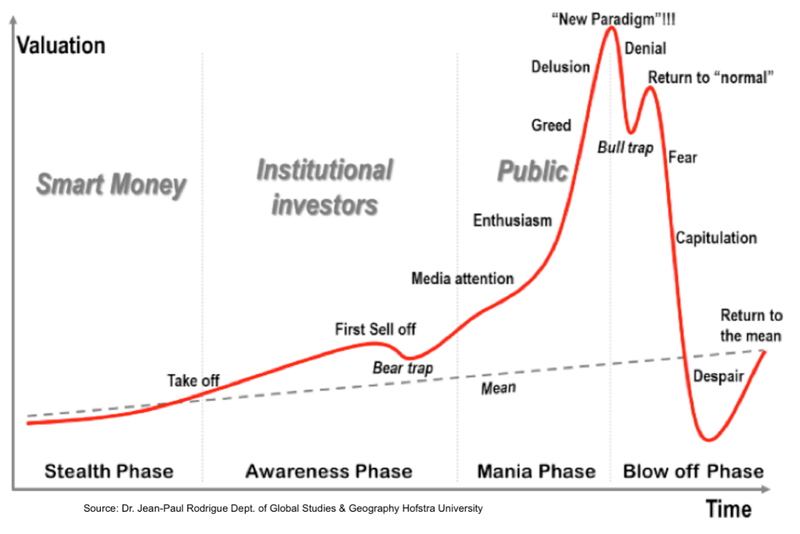 You can hear more about our bubble crash predictions in our Goldnomics podcast. Here we take a look at one of the important financial questions of our day – is this the greatest stock market bubble in history? Though nearly every morning prompts the phrase “Yup, they’re actually going to do this again,” the steepening pitch of this ascent – coupled with record valuation extremes, record overbought extremes, and the most lopsided bullish sentiment in over three decades – now produces the most extreme “overvalued, overbought, over-bullish” moment in history. In prior cycles across history, similar syndromes were either joined or quickly followed by deterioration in market internals. In this cycle, it has been essential to wait for explicit deterioration in market internals before establishing a negative outlook. Notably, the market has lost value, even since 2009, when overvalued, overbought, over-bullish conditions were joined by divergent internals.